The successful design and the excellent functionality of the WIKA switch family were already confirmed by winning the "iF product design award 2009" for the PSD-30 pressure switch. The robust LED display of the LSD-30 level switch has been designed using 9 mm high characters (the largest possible) and with a slight incline in order to make reading the level as easy as possible from a long way off. A 14-segment display has been used, since it represents text very well. The 3-key operation makes simple, intuitive menu navigation possible, with no need for additional assistance. 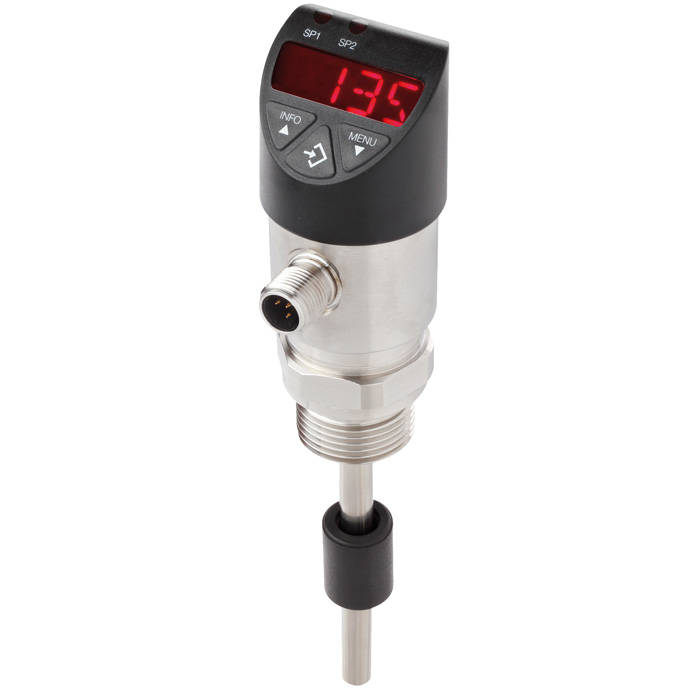 The menu navigation of the LSD-30 level switch is designed in accordance with the latest VDMA standard. The VDMA standard for fluid sensors (24574-4, part 4 - level switches) has the aim of considerably simplifying the use of level switches by standardising menu navigation and display. The control keys have been designed as large as possible and are arranged ergonomically to ensure fast and easy adjustments. Operation without any additional assistance is made easier through the tactile feedback. The installation of the LSD-30 level switch can be flexibly adapted to the individual mounting situation. Due to the almost unlimited rotation of the display and case by more than 300°, the display can be adjusted independently of the electrical connection. The display can thus always be aligned to face the operator, and the M12 x 1 connection positioned to suit the desired cable routing. During development of the level switch a high value was placed on a robust design and the selection of appropriate materials suited to machine building applications. For this reason the case and the threaded connection of the electrical connector are made from stainless steel. Overwinding or tearing off the connector is therefore virtually impossible.